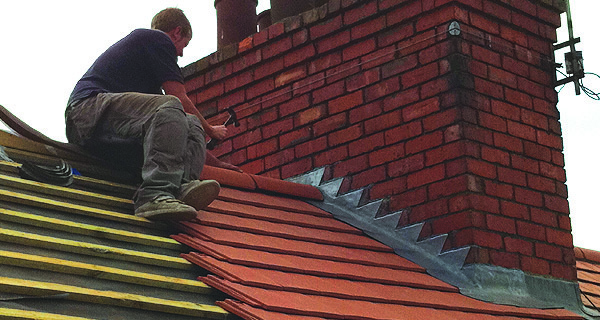 Barrass Roofing in Retford, Nottinghamshire have undertaken a large number of new build roofing projects and have a reputation for being reliable and providing work of a high standard. All our modern roofing work is fully guaranteed, giving you peace of mind that your home or business is protected for years to come. Barrass Roofing fully appreciate that your home is probably your largest investment - so keeping your roof ( which is the single largest exposed surface area of your home) in good condition is really important. If not maintained correctly by a professional - the cost of a completely new roof can in some cases can be very expensive and may even require a remortgage. This is why modern roof repair offers a long lasting protection system for your roof and is a far cheaper alternative to re-roofing from scratch. New Roofing and Re-Roofing for domestic and commercial customers. Insurance repairs and repairs required to roofs due to storm damage. Extensions / garage roofs / flat roofs. Domestic and commercial Roofing Inspections. Aluminum seamless powder coated one piece guttering. Contract and Planned Roofing Maintenance. Public liability / Free estimates - all roofing work guaranteed. Barrass Roofing also carry out Roofing services and repairs to Industrial Roofs (which covers repairs and maintenance) including office blocks, warehouses and industrial units. You can view examples of recent "Modern Roofing" projects undertaken by Barras Roofing (including full right up's and images) by clicking View Roofing Projects & Works. Industry standard approved materials, professional and highly skilled work force that carry out all aspects of traditional roofing to exacting standards & requirements. Inspected and awarded the 'Trust Mark' through the National Federation of Roofing Contractors, we also have full liability insurance. 1st class service, I would highly recommend Barrass Roofing!